Do you need garden clearance in Chigwell? We have the ideal remedy! For nearly 15 years we’ve been providing garden clearance Chigwell home owners rely on and are happy to recommend to neighbours, family and close friends. They love our prompt, flexible services and cost effective prices. And we expect you will too! 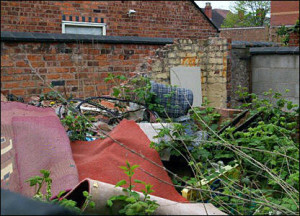 Our garden clearance services couldn’t be easier to use. Our friendly uniformed crews will clear all your unwanted items, from old garden furniture, swings and slides to organic garden refuse such as branches, hedges, leaves, soil and grass. They can also dismantle and remove outdoor storage sheds, coal bunkers, greenhouses, patio slabs, walls and brick structures, fencing and posts. In fact, any garden related items! Our specialist tipper trucks are equipped with all the tools needed for the job, for example wheelbarrows, shovels, sweepers, rakes, sledge hammers. And we will sweep and rake up afterwards leaving your garden tidy. We are registered waste carriers. 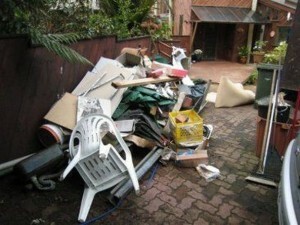 You can trust us to do an altogether professional job and take care of all your waste appropriately and legally. We are a local firm and work 7 days a week from 7am to 11.30 pm. Evening and weekend collections can always be scheduled for your convenience. We deliver a fast, same day collection service. Whenever you need us we are only a phone call away. Appointments are in two hour slots and we’ll always call beforehand confirm you know when we’ll be arriving so you’re not left hanging. Our clear pricing means there won’t be any disagreeable shocks when the task is concluded. The rate we quote is the fee you will pay with no hidden add-ons. Phone us without delay on 0208 504 7390 to discuss your requirements for garden clearance Chigwell. We’re on hand from 7 in the morning to 11.30 at night seven days a week to take your call. Our expert staff will be happy to answer your questions and give a competitively priced free estimate then book your garden clearance for a day and time that suits your schedule. Or you can submit your details using our simple request a quote form and we will get back to you fast.